Alan Cockrell joined Steve Russell on WRUF Tuesday to talk about his long career and the Yankees. 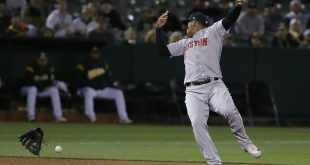 With the Yankees at 29-19, and sitting 1st in AL East, many baseball fans are wondering how this team has had a sudden resurgence after last year’s 4th place finish and missing the playoffs. Many give credit to the offense filled with power. The hitting coach, Alan Cockrell, is seen as a major role in this improvement. 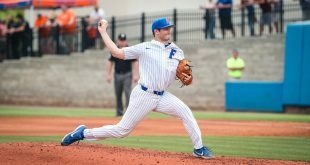 Cockrell spoke on WRUF earlier. He talked about how he enjoyed being a hitting coach. 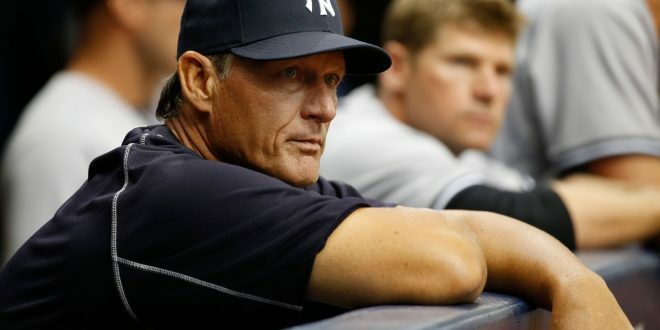 Alan Cockrell is the current hitting coach of the New York Yankees after he was hired on January 2, 2015. He was tasked with improving an offense that was lacking. After the retirement of long-time Shortstop Derick Jeter the year before, the Yankee offense needed a turnaround. In the two years Cockrell has been the hitting coach, the Yankee offense has seen just that. While, Alan Cockrell has become a respected hitting coach around the league, he was a much respected player before that as well. Cockrell has SEC Roots as a two-sport athlete playing baseball and football for the University of Tennessee. He became the first true freshman ever to start at quarterback for the Volunteers in 1981. For as good of a Quarterback as he was, he was an even better outfielder for the Volunteers. In 2009, Cockrell was named to the University of Tennessee All-Century Baseball Team. Cockrell was selected by San Francisco as the ninth overall selection in the 1984 First-Year Player Draft. He played in the minor leagues for 15 years, but due to a series of knee injuries, did not receive a call up to the major league level until much later in his career. Cockrell talks about how his knee injuries hindered his ability to play defense at a major league level. He played in 1,414 career games and batted .278. He made his Major League debut with the Colorado Rockies in 1996, playing in nine games and batting .250. Even though Cockrell could not play defense like he once could, he became a great hitter and would use this knowledge to coach after his playing career was over. After a long playing career, Cockrell chose to begin his coaching career. On WRUF, Cockrell says that his decision to become a coach stemmed from his love of the game. Cockrell’s coaching jobs before the Yankees included becoming the hitting coach for the Rockies November 7, 2006. In 2007, Cockrell helped the team improve from .270 batting average from a year before to a .280 batting average, which led the league. The team, under Cockrell, also led the league in on-base percentage and total hits. The Rockies would go on to in the National League Championship thanks to no small part to their offense and Cockrell’s coaching. After Cockrell’s time in Colorado, he accepted the hitting coach job for the Mariners on December 8, 2008. Cockrell also served as a hitting coordinator for the Arizona Diamondbacks from the 2011 season to the end of the 2013 season. As the Yankees hitting coach, he helped helped three Yankees (Castro, Gregorius and Sánchez) record their first career 20 HR seasons. Previous AROUND THE SEC: A Young South Carolina Team Poised to Make A Run in the East?